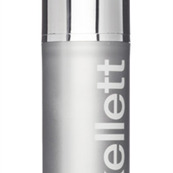 WHY: This is the third Kellett product I've pimped your way and if you've missed the boat on the others, you're excused, but when it comes to this acne treatment you've gotta get on board. I'm telling you, it's the ultimate pimple popper. Lately my skin has been brewing some serious doozies. You know, those boil type muthers that sit underneath the skin taunting you; and then finally when they rear their f-ck-face head they don't pop. The worst, right? Now whether you're plagued with my type of cyst-zits or you're just a regular pizza face, no sweat; dab this cream on and it literally zaps them from the inside out in just a matter of days. I've been using this product for a long time and it always does the trick. I believe in it so much that if I had any money to my name, I'd give you a money-back guarantee, but I don't, so you're sh-t out of luck.